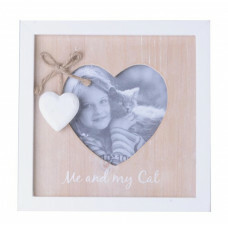 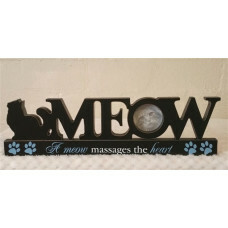 Me and My Cat... Rustic style, square frame, featuring a dangling heart an..
Not only does this cute photo frame have a cat and paw prints all over it, ..
'A meow massages the heart' Freestanding tabletop sign/plaque/photo frame .. 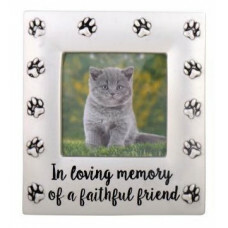 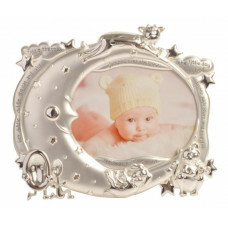 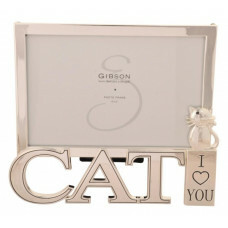 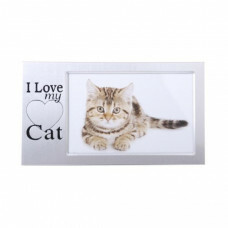 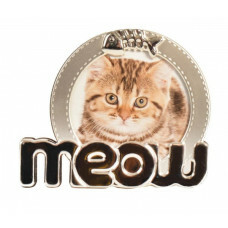 Shiny Silver Frame, sits upon the word 'CAT' with a small cat on the side s.. 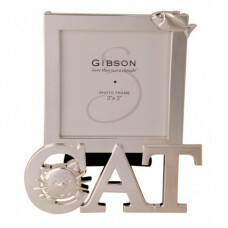 Shiny Silver Frame, sits upon the word 'CAT' featuring a cat head in the 'C..
A Purrfect gift for a Cat Lover... A round silver frame, featuring a fish ..
Hey Diddle Diddle The Cat and The Fiddle.... 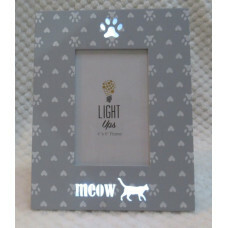 This beautifully detailed, si..